SA’s only semi-pro league is in peril due to sponsorship issues, but there’s (hopefully) a ray of sunshine. While the national federation has lost a lucrative deal, leaving a cloud of doubt hanging over the future of Africa’s only semi-professional netball league, Netball SA (NSA) hopes its 2023 World Cup bid will reignite interest in the sport. South African Breweries would not extend its sponsorship of the Brutal Fruit Premier League, NSA confirmed on Wednesday, after it had supported the top-flight domestic campaign since it was launched in 2014. “This is a big blow to the country as the NPL provided the perfect platform between club/varsity players and the Spar Proteas and can be credited for the massive strides the national team have been making on the international stage,” NSA said. The federation insisted it was “working tirelessly”, however, to ensure the league campaign went ahead this year. The national body also insisted the future looked bright for the sport, provided South Africa got the nod ahead of New Zealand to host the quadrennial World Cup in 2023. The host nation was expected to be announced by the International Netball Federation (INF) within the next two months. 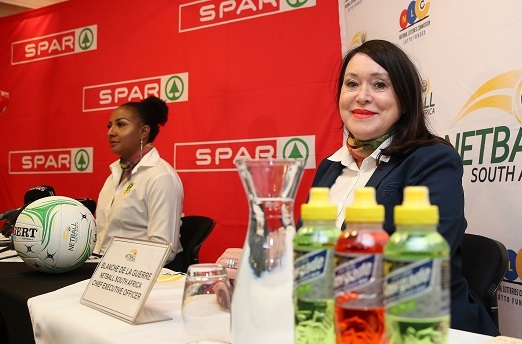 “Hosting the World Cup would enable us to attract new sponsors, allowing for a strong financial future for NSA and netball in South Africa,” said NSA president Cecilia Molokwane, who was confident about the Cape Town bid. “It would enable NSA to develop a fully professional structure, allowing players to pursue a career in netball, and would provide a platform for netball and women to receive the same level of exposure as men’s sports. While New Zealand had hosted three of the previous 14 editions of the World Cup, no African country had hosted the global showpiece, despite South Africa and Malawi being consistently ranked among the top six teams in the world. The World Cup would offer a potential boost of more than R2 billion to the local economy and could attract more than 120 000 visitors to the Mother City.